The recent announcement by United States President Donald Trump that the US will recognise Israel’s sovereignty over the Golan Heights draws attention yet again to the double standards applied by NATO and its satraps including Australia to the issues of territorial integrity, the right to self-determination, and international law. Three cases illustrate the duplicity and double standards of the Western nations. They may be reviewed chronologically. The Golan Heights form part of the sovereign territory of the state of Syria. It, along with the West Bank of Palestine (then part of Jordan) and the Gaza strip were seized by Israel at the conclusion of the Six Day War between Israel, Egypt, Syria and Jordan in June 1967. 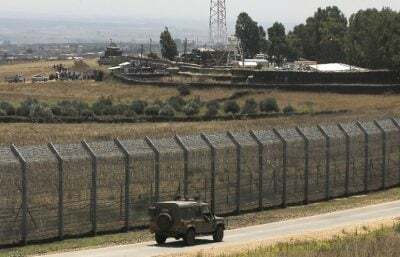 Israel has remained in occupation of the West Bank and the Golan Heights ever since. It maintains a blockade on Gaza to the immense suffering of Gaza’s inhabitants. It is well-established international law (Fourth Geneva Convention of 1949) that states may not continue to occupy territory seized as a result of war. On 22ndof November 1967 the United Nations Security Council in resolution 242 unanimously called on Israel to withdraw its forces from occupied territory. This was ignored by Israel, just as it has violated 32 United Nations resolutions since 1968, easily the single biggest offender (Turkey is second with 24 violations over the same time period). That Israel continues to ignore its obligations under international law is not surprising. That the United States, other NATO countries, and Australia not only do not impose any sanctions on Israel for its continued violations, it does not even permit the discussion of such a possibility. Even to raise the issue invites immediate allegations of anti-Semitism and other absurdities from the immensely powerful Jewish lobby in most western states. Trump’s announcement follows a similar declaration last year to recognise Jerusalem as Israel’s capital. This is also not only a violation of international law, it is contrary to resolutions the United States itself has supported in the past (as with the Golan Heights). Kosovo’s case is totally different but it raises a number of relevant points. Kosovo is ethnically and linguistically Albanian, although it formed part of the former Yugoslavia. There were strong elements within Kosovo that wanted independence from Yugoslavia. That independence movement was supported by the United States. Between March and June 1999 the United States bombed Serbia to encourage the Serbs to withdraw their military forces from Kosovo. The bombing was without Security Council approval, was not within the provisions of the United Nations Charter, and was accordingly a gross violation of international law. At the cessation of the bombing, on 10 June 1999, United Nations Security Council resolution 1244 gave Kosovo autonomy within the Federal Republic of Yugoslavia. On the 17th February 2008 Kosovo unilaterally declared independence from Yugoslavia. There was no referendum, but it is fair to say that the declaration was supported by the majority of Kosovans, especially those of Albanian ethnicity who comprised 88% of Kosovo’s population. On 8 October 2008 the United Nations General Assembly asked the International Court of Justice for an advisory opinion on the Kosovo declaration of Independence. Their decision was announced on 22nd July 2010. The court noted the lengthy history of unilateral declarations of independence since the 17th century, with most of them opposed by the parent state. The court concluded that “international law contained no prohibition of declarations of independence” (paragraph 79) and that “the declaration of 17th February 2008 did not violate general international law” (paragraph 84). The United States had a particular interest in Kosovo, including in particular being able to establish a substantial military base there (Camp Bond Steel). That base functions, inter alia, as a major transit point for Afghan heroin under the control of United States and Allied forces in Afghanistan. No sanctions were applied to the United States for its illegal bombing of Syria, nor on Kosovo for its unilateral declaration of independence. The majority of the world’s countries now recognise Kosovo as a separate independent state. Crimea was factually different again, but also contains several relevant points. Crimea had been part of the Russian Empire since 1783. On 18 February 1954 the Presidium of the Supreme Soviet of the USSR issued a decree transferring Crimea to Ukraine. There was no referendum of the Crimean people and had there been, the overwhelming likelihood is that the transfer would have been rejected. The transfer seems to have been the brainchild of then Soviet leader Khrushchev, himself a Ukrainian. The absence of democratic procedures is reinforced by the fact that the transfer was itself a violation of Soviet law. In the following decades there was an uneasy relationship between the Crimeans and the Ukrainian government. Crimea enjoyed the status of being an “autonomous republic”. That uneasiness came to a head in February 2014 when the duly elected and internationally recognised government of Ukraine was overthrown in an American organized and financed coup d’état. The new Ukrainian government was anti-Russian and frankly fascist in its orientation. Neither fact was acceptable to the Crimeans who, like the Albanians in Kosovo were overwhelmingly of one language, culture, ethnicity and identification with all things Russian. A referendum was quickly organized (unlike Kosovo) and there was a voter turnout of 83.1%, of whom 95.5% voted in favour of reunification with Russia. The Russian Duma in turn voted to accept Crimea back into the Russian Federation. The western media and politicians consistently use the term “annexation” to describe the reincorporation of Crimea into the Russian Federation. The OED defines annexation as synonymous with “seizure, occupation, invasion, conquest, takeover, appropriation and expropriation.” None of these terms accurately describes the sequence of events in Crimea. There is no difference in international law between what Kosovo did with the approval of the International Court of Justice and what the Crimeans did. The latter was arguably much more democratic as it followed an overwhelming referendum result in support of departure from Ukraine and rejoining with Russia. The consequences however, have been very different. Russia has been subject to endless vilification. The Russian state and many political and business leaders have been subjected to sanctions. One has only to ask: would this have happened if Crimea had voted to leave the Russian Federation and join Ukraine? The overwhelming probability is that Crimea would have been welcomed with open arms and its people applauded for making the ‘right’ choice. Crimea is strategically significant, which is why the British fought Russians there in the Crimean war (1853-1856), and why a prime geopolitical objective of the US interference in Ukraine was to deprive the Russians of the naval base at Sevastopol. The history of these three episodes (Golan, Kosovo and Crimea) exemplifies the double standards and hypocrisy that characterizes western geopolitics. Trump’s latest statements on the Golan Heights only reinforce the point. James O’Neill is an Australian-based Barrister at Law and geopolitical analyst, exclusively for the online magazine “New Eastern Outlook”.